Photo courtesy of Will Burrard-Lucas (Twitter/@willbl). A British photographer in Kenya has managed to capture a wild African black leopard in a series of striking photographs for the first time in over 100 years. According to media reports, 35-year-old Will Burrard-Lucas, in collaboration with the team of Nick Pilfold, a global conservation scientist at the San Diego Zoo, captured the footage of the extremely rare female black leopard in Kenya after months of watching and waiting. Pilfold's team of biologists had placed remote wildlife cameras to track the leopard population near a conservancy in the Laikipia County last year when they heard reports of a possible black leopard sighting. The team also captured footage of the black leopard's larger companion, a normally colored leopard presumed to be her mother. While 11 percent of leopards alive today are thought to be melanistic, which is the medical opposite of albinism, most are found in Southeast Asia, Pilfold said. Pilfold added that while there have been reports of black leopards in Africa for more than a century, only one had been confirmed with photographic evidence — a 1909 photograph taken in Ethiopia. 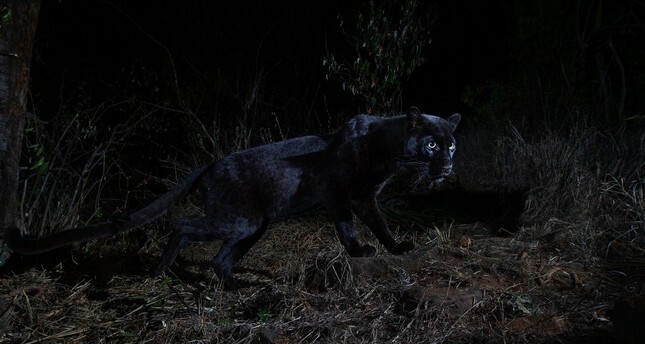 The details of the elusive black leopard's sighting were published in the African Journal of Ecology.